A prominent author and nationally renowned expert on health, religion and spirituality will be among the keynote speakers at an Indiana State University conference in November. The Center for the Study of Health, Religion and Spirituality will host its seventh annual research conference from Nov. 1-3 at the Landsbaum Center for Health Education on the Union Hospital campus. The three-day event features a different keynote speaker each day, including Harold G. Koenig, professor of psychiatry and behavioral sciences and associate professor of medicine at Duke University. Koenig also co-wrote the "Handbook of Religion and Health." "It's a huge book that is probably the single most cited resource in the field of religion and health," said Tom Johnson, associate director of the center. "He's a wonderful presenter and a very nice person. He's going to be our keynote speaker on Friday morning, and we feel really fortunate to get him here." 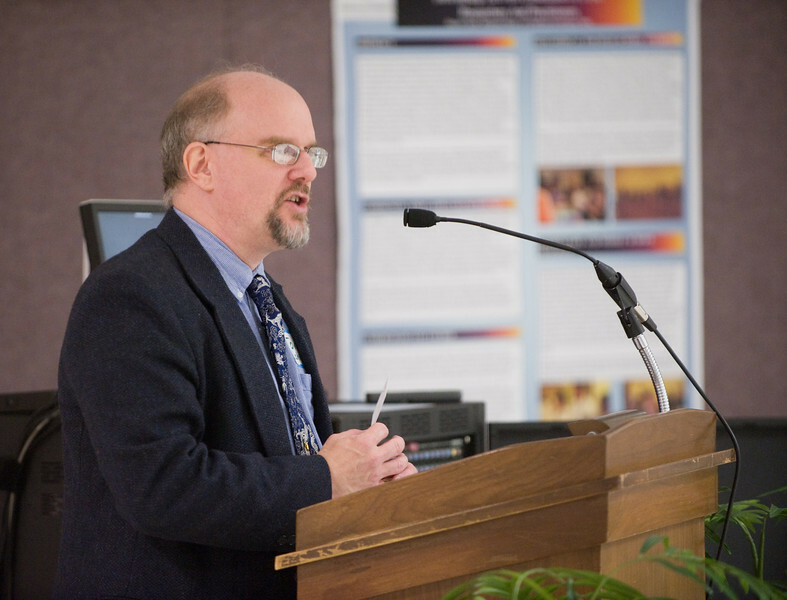 Koenig's presentation, "Religion, Spirituality and Health: Definitions, Relationships and Applications" will be on Nov. 2, the second of the three-day event. Richard Gunderman, vice chair of radiology at Indiana University, will present "Health and Faith: Lessons Learned the Hard Way" on Nov. 1. His presentation is free and open to the public. "During the conference every year, we like to have at least one event that is completely open to the public," Johnson said. "Dr. Gunderman is an experienced and entertaining presenter and his talk should provide great insights for not only people attending the conference, but for the greater community in general." Koenig's presentation is co-sponsored by Union Hospital and Indiana State. He also will present "How Spirituality Enriches the Lives of Patients and Caregivers" at two presentations earlier on Nov. 1 that are open to physicians, nurses, students, social workers and other clinical professionals. His presentation is part of a similar conference at Union Hospital, which overlaps with the conference at ISU, providing opportunities for joint programming. "We've brought the conferences close together, and hopefully that will help Union Hospital and also what we are trying to do," Johnson said. "We hope both programs will reach a larger audience." The Indiana State conference will feature Crystal Park, professor of psychology at the University of Connecticut, delivering the third keynote, "Spirituality, Meaning and Health." Her research interests include a focus on how people's beliefs, values and goals influence their ability to perceive and cope with stress. Still other speakers will give presentations throughout the ISU conference. The types of presentations conference attendees can learn from range from Rosetta Haynes reading from her book, "Radical Spiritual Motherhood: Autobiography and Empowerment in Nineteenth-Century African American Women," to trying out different forms of meditation. "We're reaching people from a variety of backgrounds, from the life sciences to the humanities," Johnson said. "We're one of the few groups anywhere trying to do this, but we're cutting across disciplinary lines." Registration costs $60 per day, or $100 for both days, and will be available up to and including Nov. 2. People can learn more information about the conference, including registration, by visiting www.indstate.edu/psychology and clicking on the link for the Center for the Study of Health, Religion and Spirituality. Anyone interested in attending Richard Gunderman's Union Hospital presentations on Nov. 1 can receive more information by calling 812-238-7628. The Center for the Study of Health, Religion and Spirituality will host its seventh annual research conference from Nov. 1-3 at the Landsbaum Center for Health Education on the Union Hospital campus.